Content marketing is a form of marketing that focuses on creating, publishing and distributing content for a targeted audience. The goal when sharing this content is to attract, inform and engage your audience while promoting your brand. The type of content you share needs to be closely related to your business, educating potential clients and building trust. This strategy, if implemented correctly, will convert prospects into clients. It will allow you the opportunity to establish strong relationships with your clients, business referrals and the media. 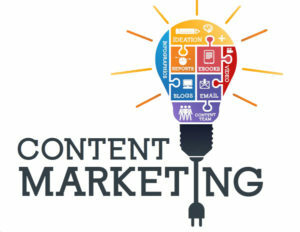 Content marketing provides additional benefits in that it supports other digital marketing channels. It provides additional content for social media marketing, email marketing and contributes to SEO efforts by generating natural inbound links and building quality content on your website that gets picked up by the search engines. At Pristine PR, we use blogging, video, webinars and podcasts, and social media as a vehicle to promote this content. Our copywriters use captivating headlines, create landing pages that sell and come up with conversion-driven email campaigns to maximize the use of this content.